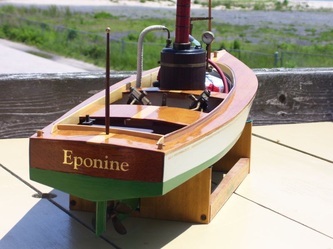 A word from the builder: "One of the few kits that we've built, our Brooklyn was built with a true-to-life steam engine, rather than the electric motor called for in the instructions." 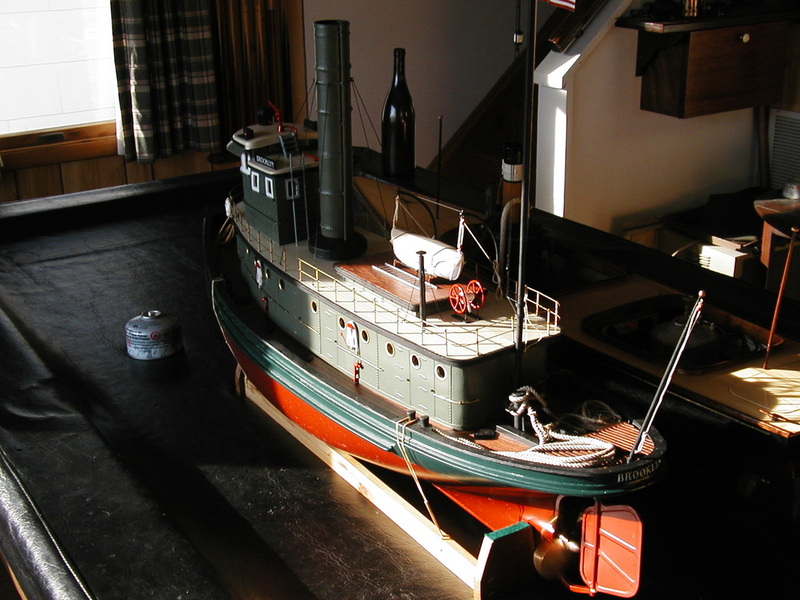 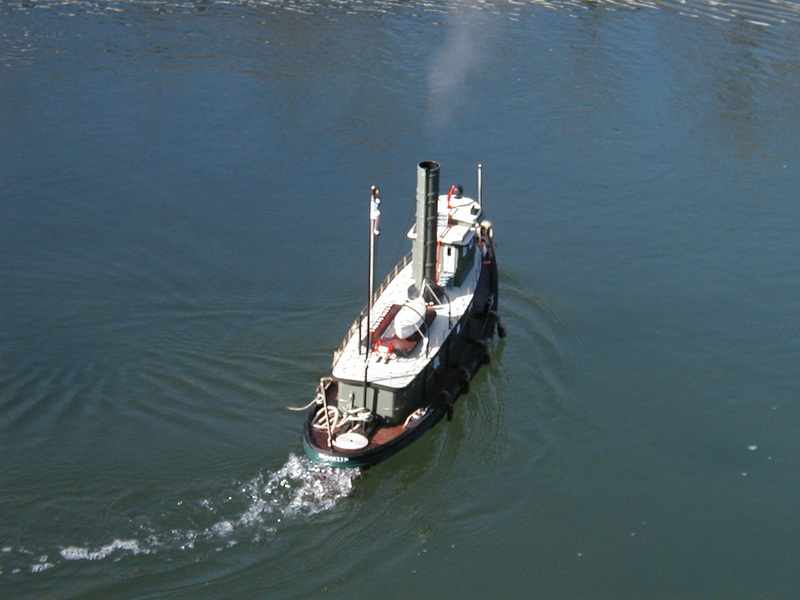 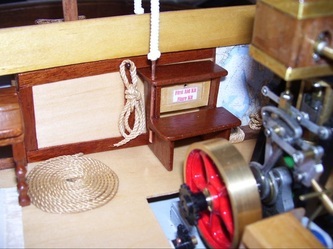 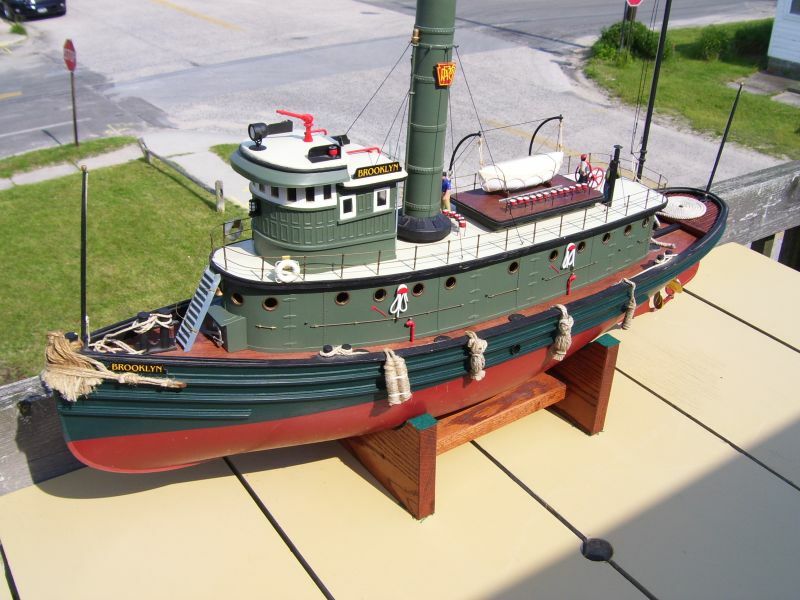 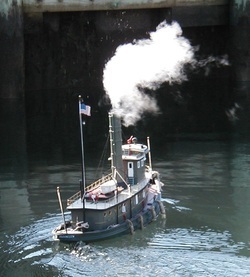 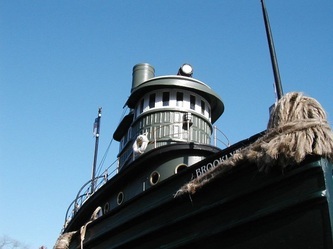 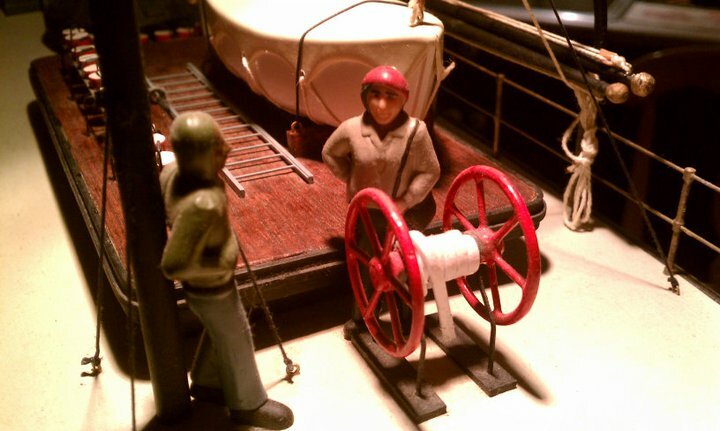 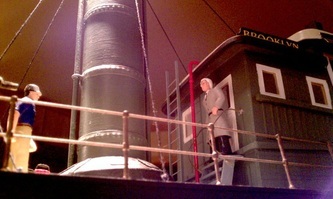 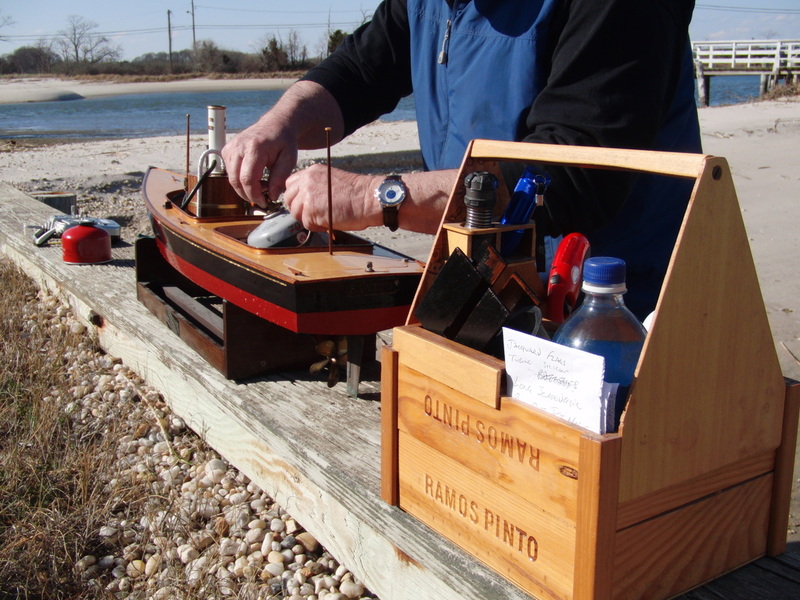 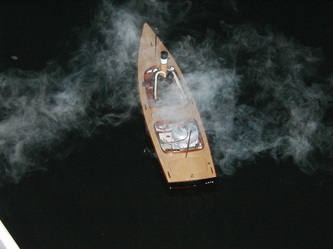 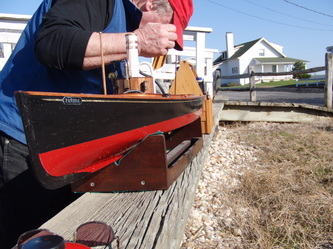 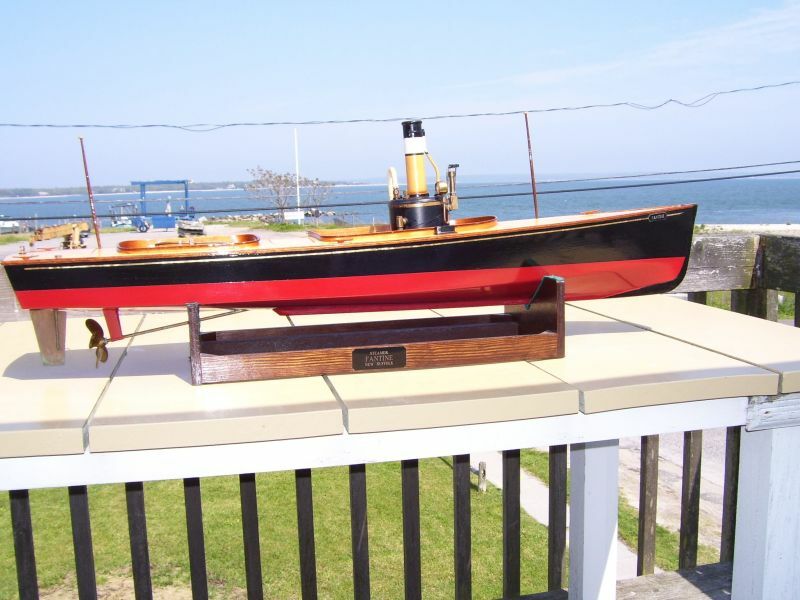 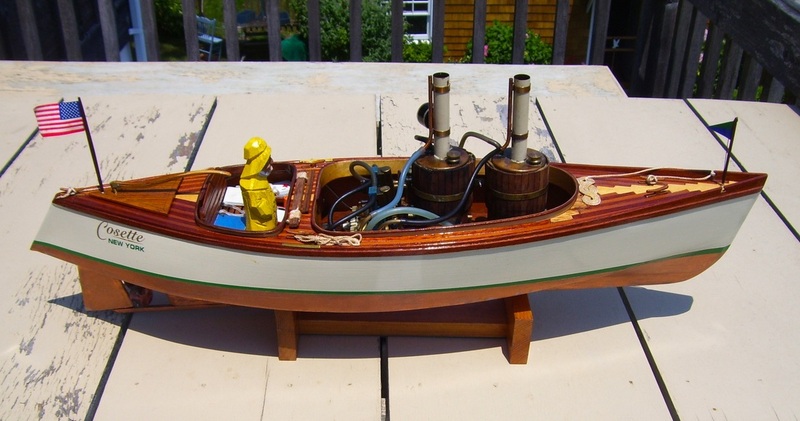 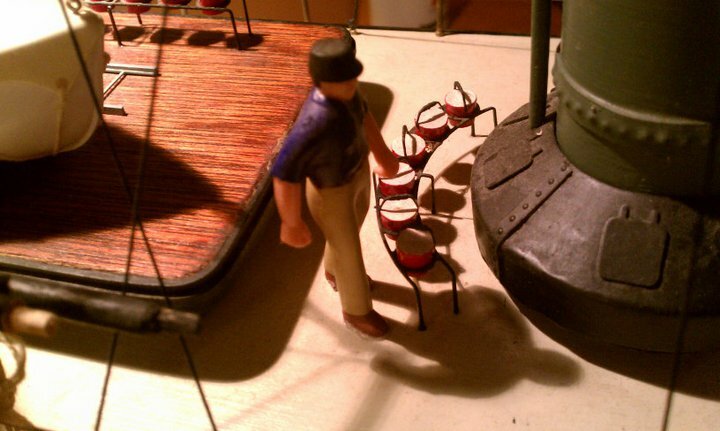 A Dumas model kit modeled after the early-20th-century steam-powered New York Harbor tug Brooklyn. This fiberglass-hulled, 1:32 scale model is one of the heaviest in the fleet, with custom modifications including a funnel made of solid copper to withstand the exhaust heat from the Cheddar Models Puffin horizontal VII boiler mounted below. 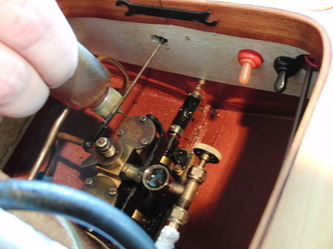 That gas-fired boiler generates steam to power a Gage TVR-1A twin-cylinder reversing steam engine, which turns a single four-bladed propeller. Brooklyn has very good performance for a vessel its size and weight, and has been employed several times to tow a scale barge ... and a full-size, manned kayak! 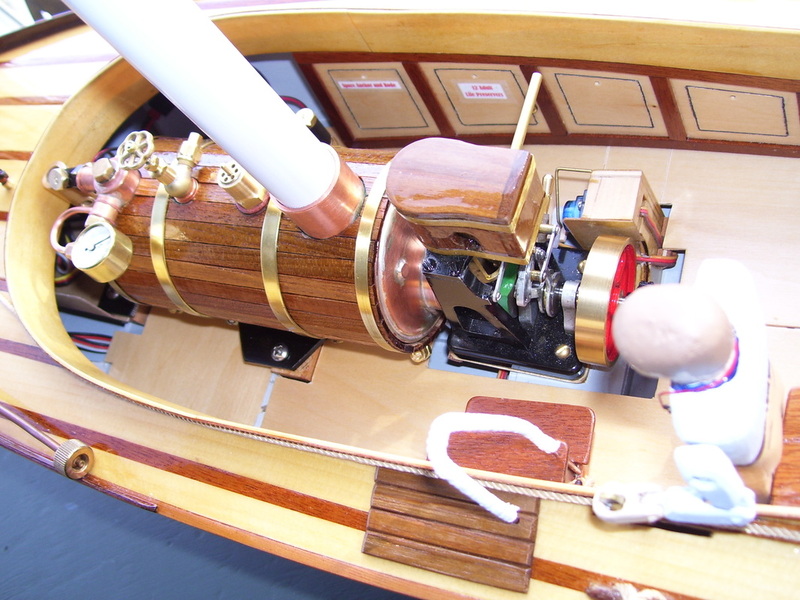 A novel propulsion plant serves as the heart of one of our most-detailed scale boats. 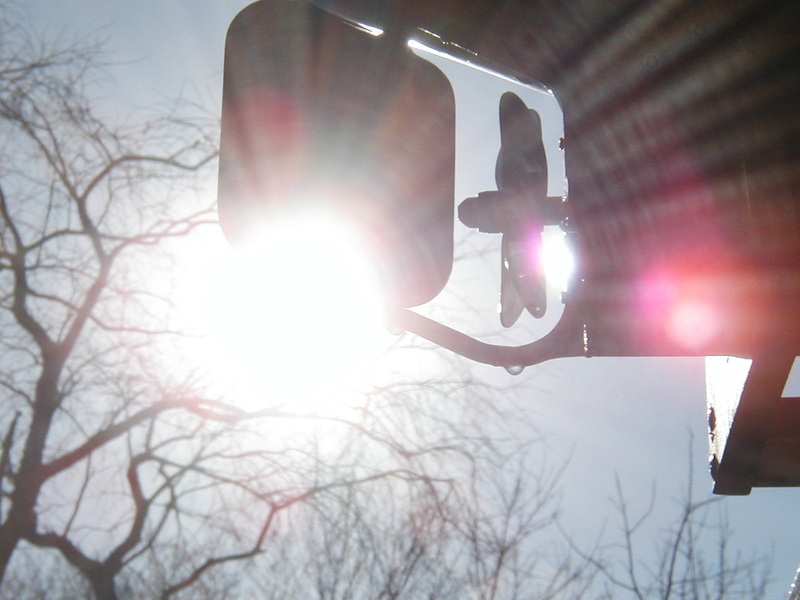 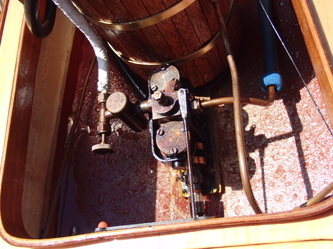 Two Sterno-fired Midwest boilers are each connected to a single-cylinder, single-acting steam engine. 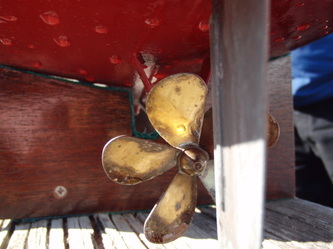 Those engines are geared to a single shaft turning one four-bladed propeller. 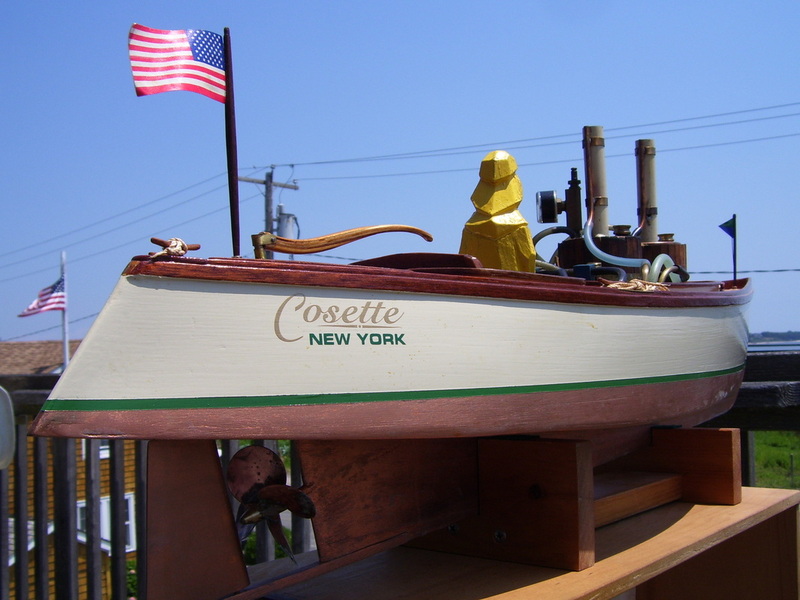 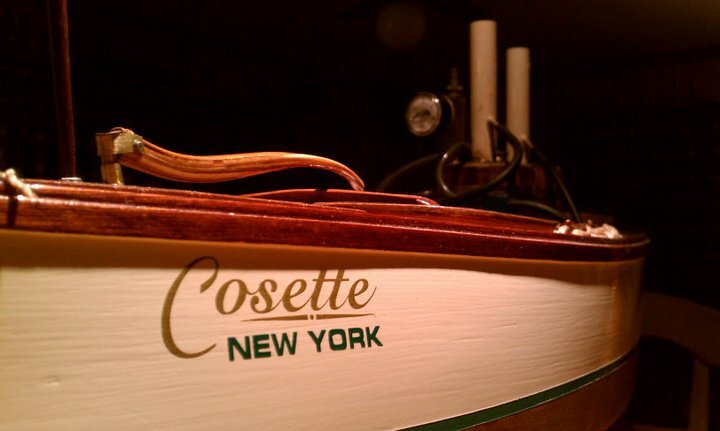 Cosette was built with heavy attention to detail in the crew compartments, and features scale reproductions of everything from navigation charts to life jackets to a beverage cooler. 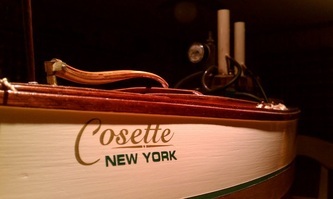 A word from the builder: "Cosette and Iolaire are two builds that took place over two consecutive winters. They are each 32" long, scratch designed and built, and contain an extensive number of interior details." 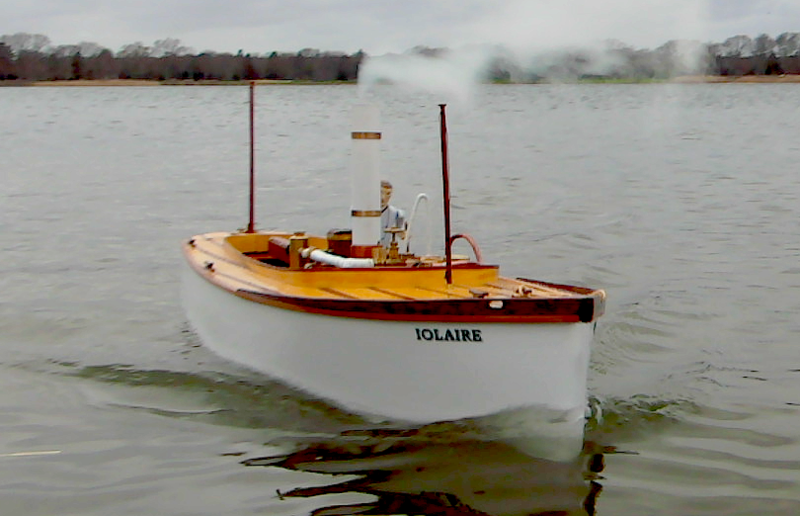 The newest addition to the RapidNadion steam fleet, Iolaire is a drake-tail launch driven by a single-cylinder VR1A steam engine. 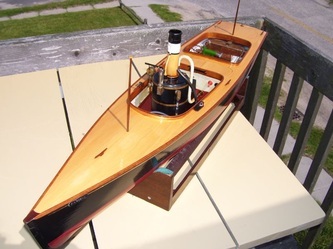 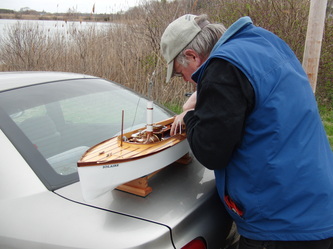 This model was scratch-built out of balsa, birch plywood, cedar, mahogany, ipe, pine, and bass. 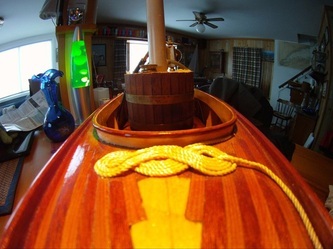 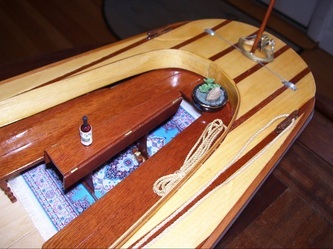 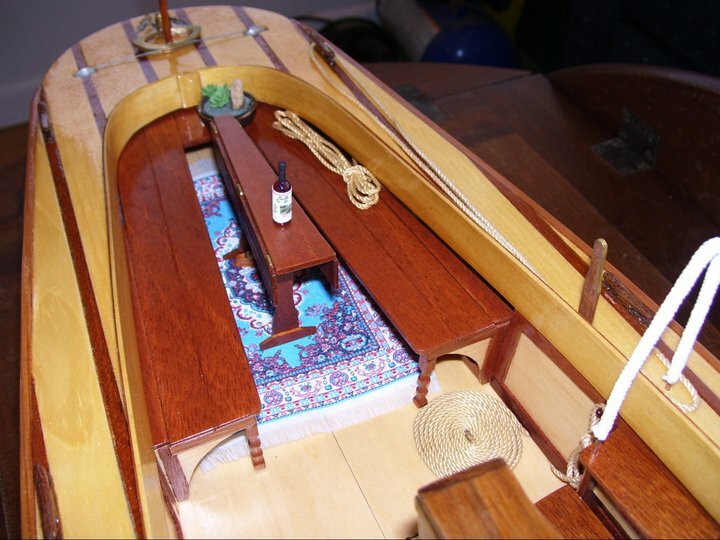 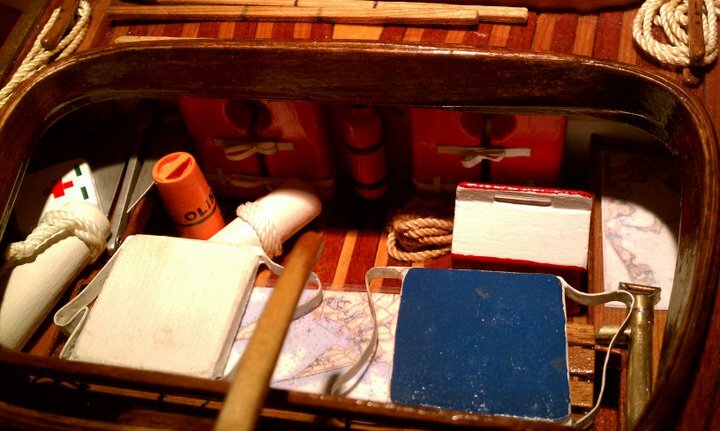 Among this boat's interior detail work are a chart table with scale charts, custom deck rug, signs and storage lockers, many coiled lines, and even a bottle of wine and a potted plant! 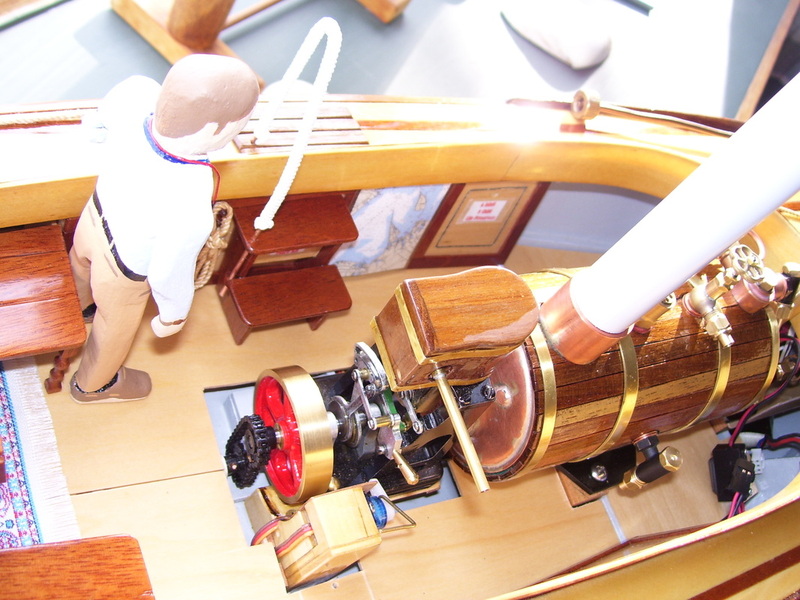 The helmsman's arm is articulated at the elbow and shoulder so his arm moves as he adjusts the tiller. 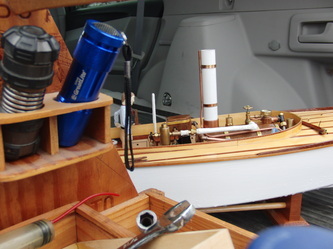 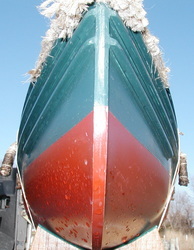 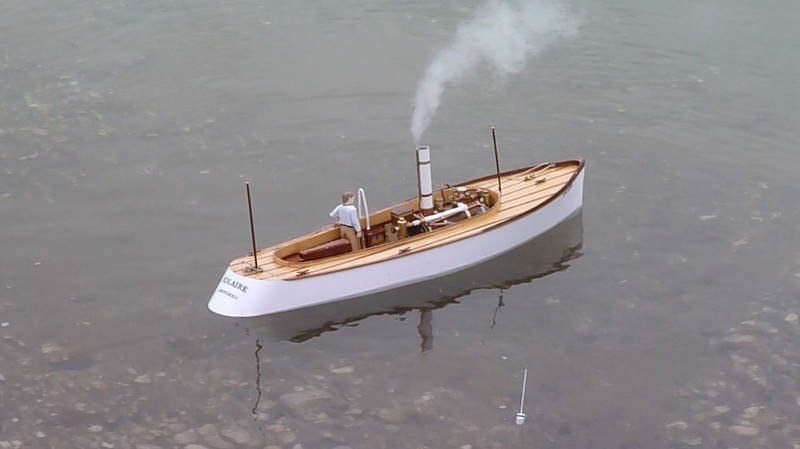 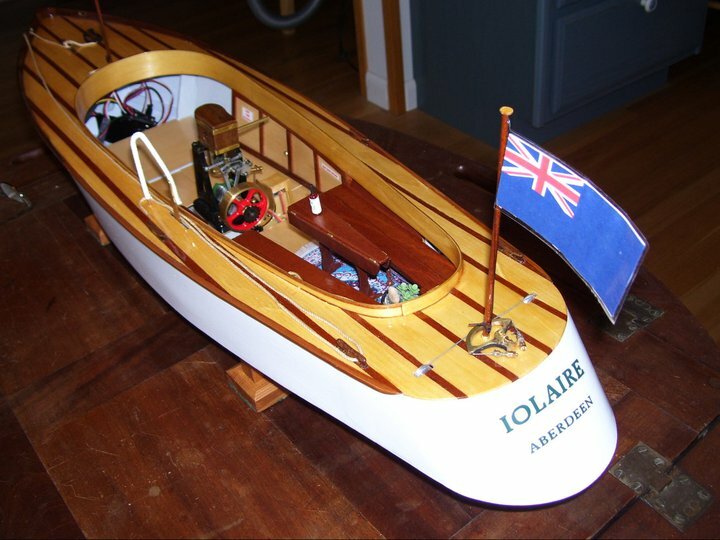 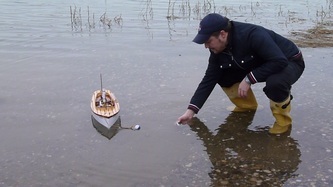 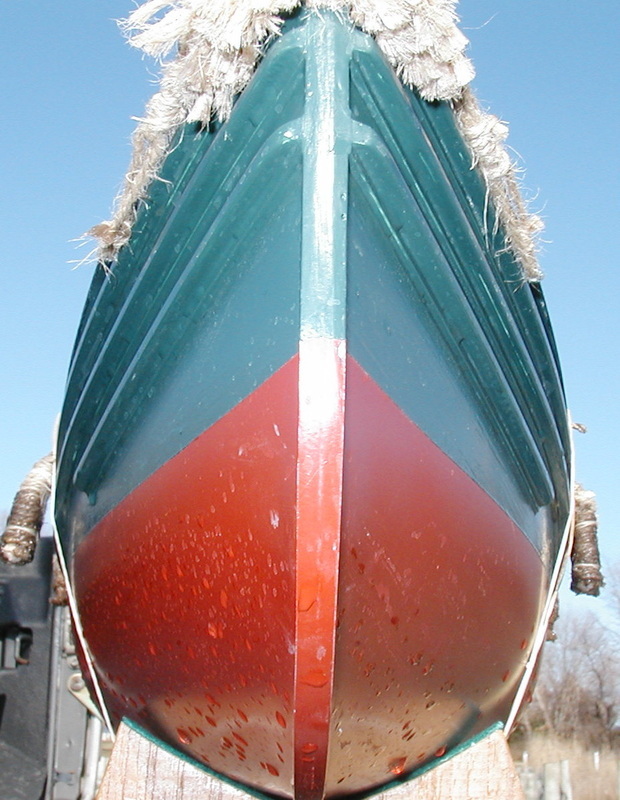 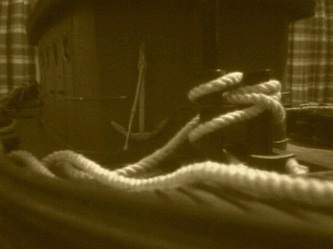 As of 2011, Iolaire is the only scratch-built steamer in the fleet not named after a character in Les Miserables. 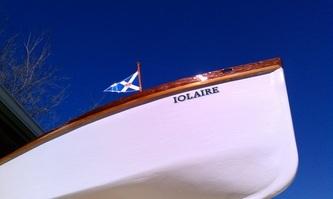 From the builder: "Cosette and Iolaire are two builds that took place over two consecutive winters. 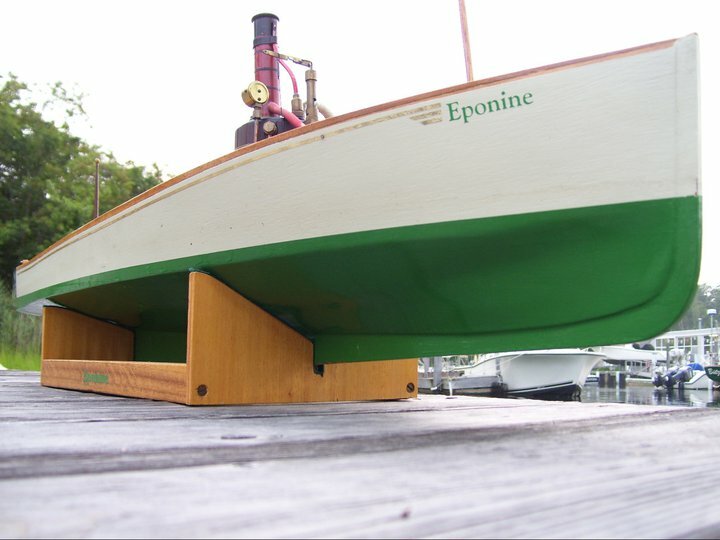 They are each 32" long, scratch designed and built, and contain an extensive number of interior details." A word from the builder: "Eponine was our first scale steam launch. 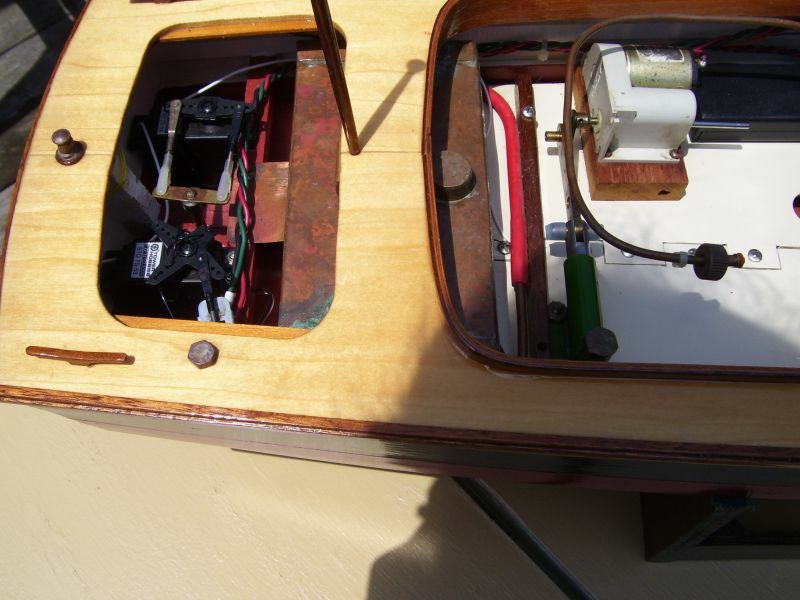 She has remote forward, stop, and reverse function, as well as throttle control. 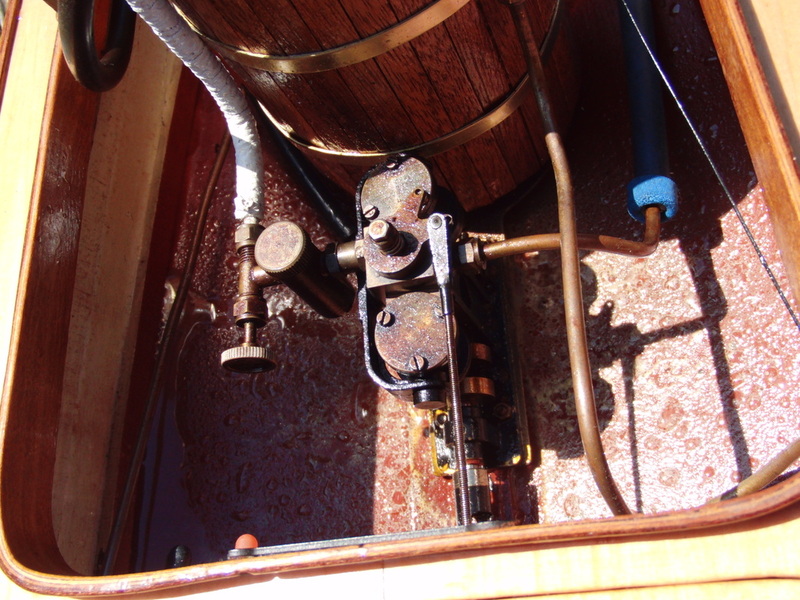 The original Wilesco D-49 boiler and engine combination plant has since been replaced." 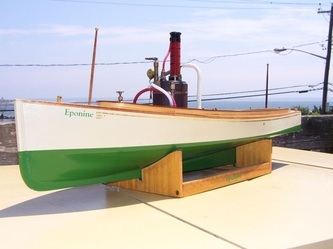 Eponine took some time to reach her full potential, starting life as she did with a very inefficient boiler/engine combination, but she's proved herself admirably over the last decade. 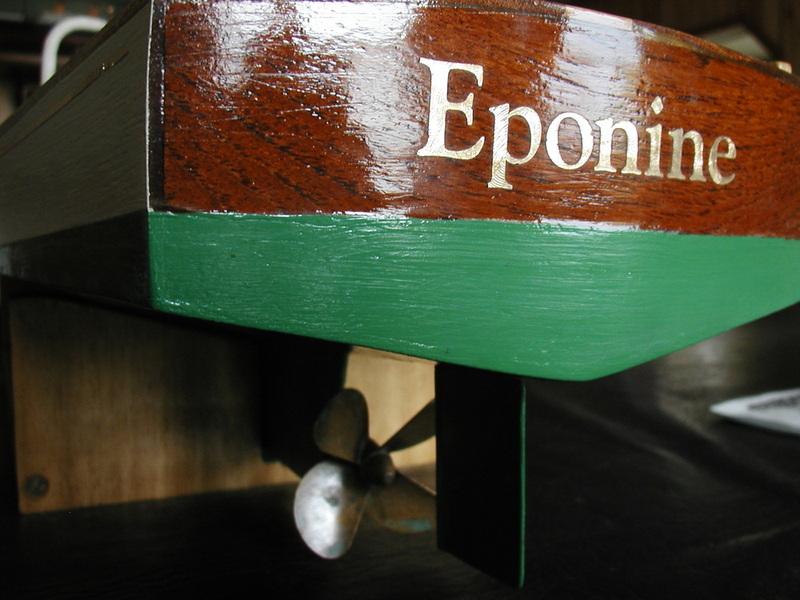 In addition to a power-plant replacement, Eponine has also received a new factory-made propeller, which takes the place of the original scratch-built unit. 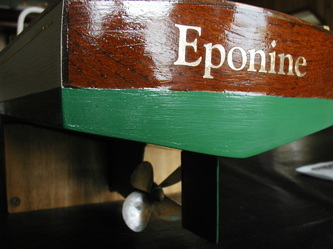 Like many steamers in the fleet, Eponine is named for a character in Victor Hugo's Les Miserables. 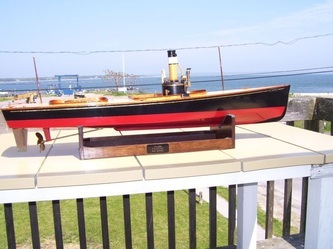 Also like other RapidNadion steamers, she has worn the colors of a famous steamship line (Cunard) on her funnel for much of her life - red-orange with black collar and evenly-spaced black bands. 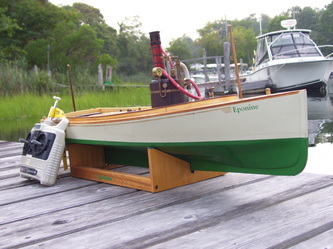 Recently, that color scheme has been altered to a more subdued cream color. 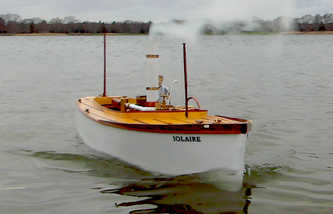 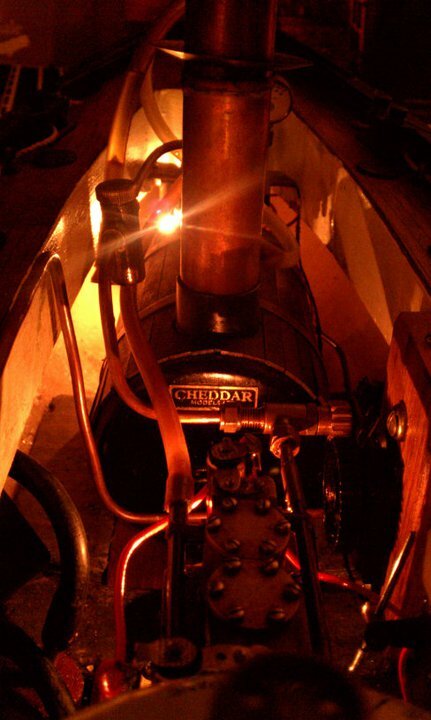 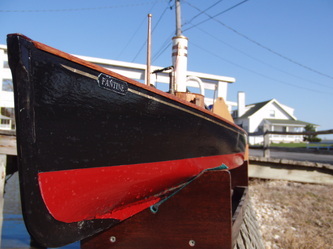 Fantine, a 43-inch scratch-built steam launch, is powered by a Cheddar boiler and a Puffin two-cylinder oscillating steam engine turning one five-bladed propeller. 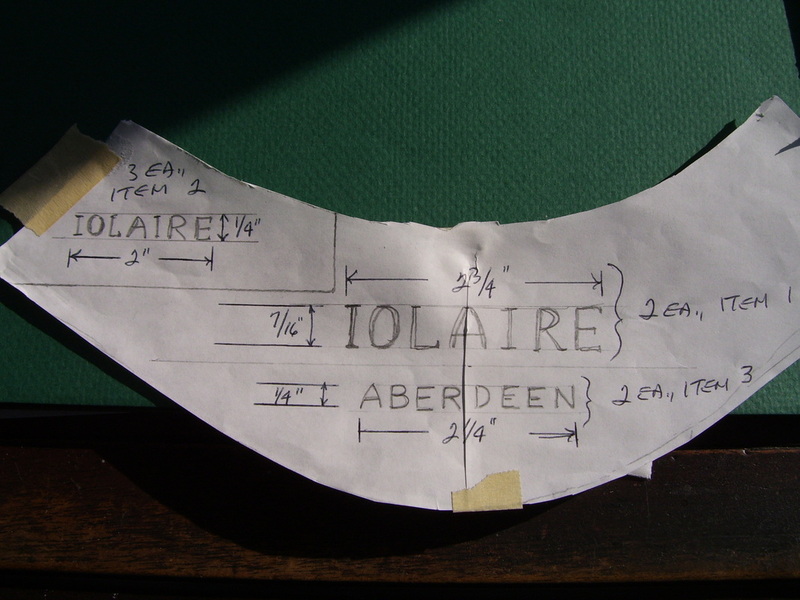 A 13 oz. 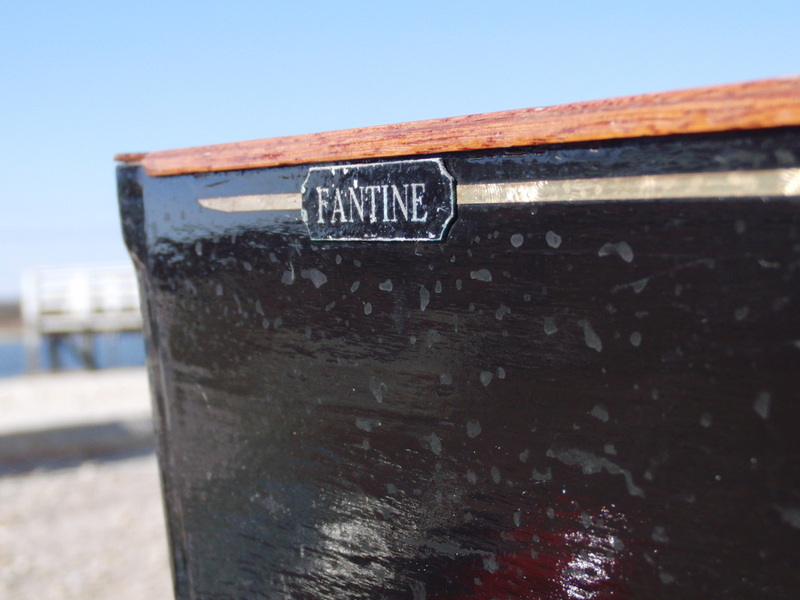 feed water tank and feed pump, as well as a new burner control system installed in 2011, give Fantine extended range and the title of most technologically-advanced steamer in the fleet. 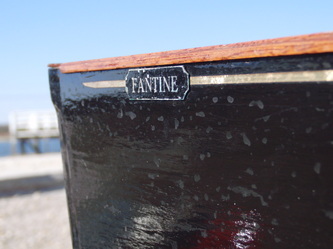 As several YouTube commenters have noticed, Fantine's hull lines and paint scheme are reminiscent of ocean liners of Titanic's era. 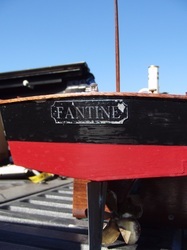 Like her sister Eponine, this steamer's funnel carried the colors of a famous steamship company -the White Star Line, in this case- for much of the boat's life (the white band below the collar notwithstanding). 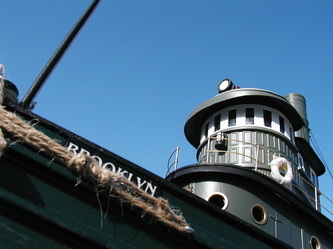 In 2011, the funnel was given a new cream-colored paint scheme, which is visible in the "Windy Day" video below. 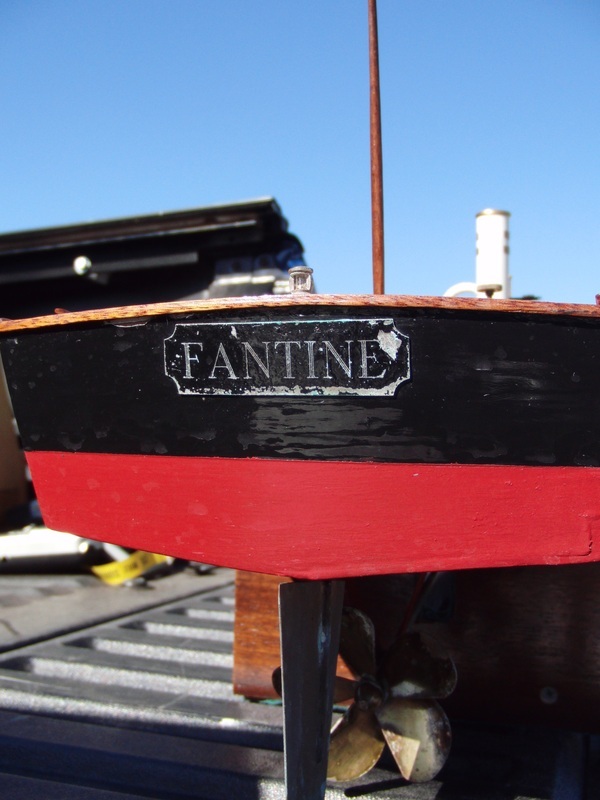 During that same refit, Fantine's boiler was lagged with wood - an insulating measure that has significantly improved her thermal efficiency. The third video below shows the new lagging in close-up, as well as a very dramatic slow-motion engine startup and a slow-motion blast from Fantine's whistle.